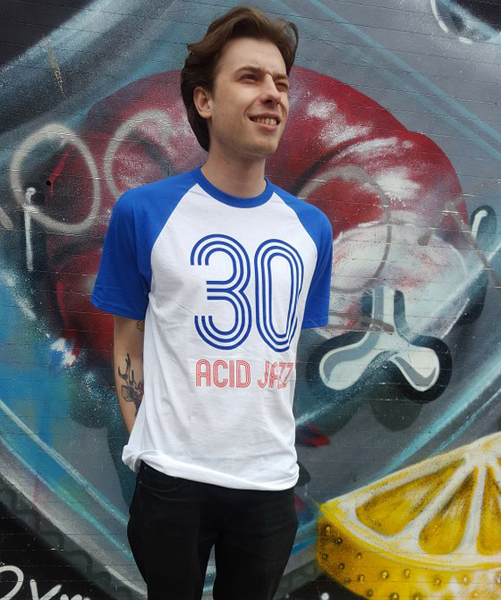 I suppose you need an affinity to the label for this to tick all the boxes, but the Acid Jazz 30 t-shirt is definitely worth a mention. Why? Simple really, it’s a strong piece of design that doesn’t break the bank. The t-shirt has been made to commemorate 30 years of Eddie Piller’s record label and rather than rehash the usual logo, the t-shirt goes down the retro / vintage sportswear road, throwing in a touch of Americana too with that ‘baseball’ feel. A retro font for the ’30’ and the ‘Acid Jazz’ and a colour scheme of blue and white, with a touch of red for good measure. £15 sounds reasonable for the t-shirt, which is available in sizes from small through to extra large.